The historic centre of Rome is quite small, it's only about 1.5 miles from the Colloseum to the Piazzi di Spagna. But depending on the weather, your fitness and footwear - there are always options to chose from when travelling across the city. There's nothing to dampen the spirits than walking in high temperatures in uncomfortable shoes! 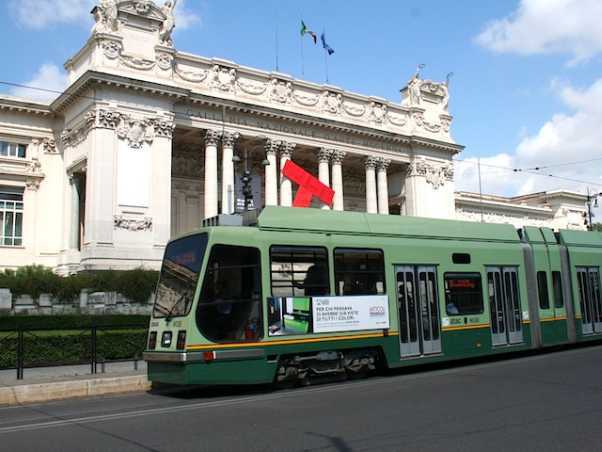 Rome’s Metro is the fastest way of getting around the Italian capital and the network crosses the city centre. The network is open from 5.30am until 11.30pm and the stations are all clearly indicated by a large red ‘M’ sign, found outside each station. A single journey will set you back €1, while a day-ticket (a good idea if planning lots of journeys) will cost €4. You can pick up these tickets from news-stands, tobacco stores or from vending machines in the stations. Once you’ve got your ticket you are ready to go! Trains are fast and frequent and the network is easy to follow, since it's only got a couple of lines - it's nothing like as complex at the London Underground! 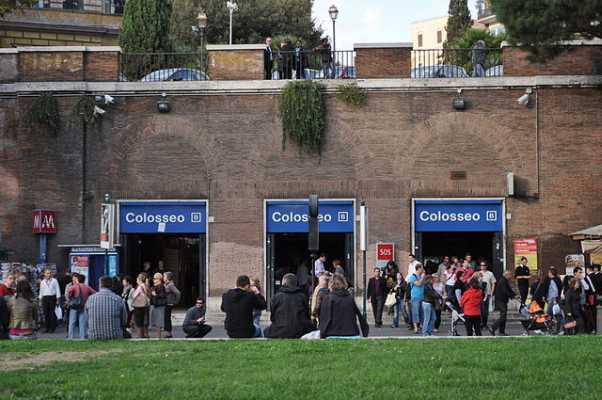 The network covers all the main tourist points and there are stations nearby to The Colosseum and Trevi Fountain. The buses and trams of Rome may run a little bit slower than the Metro, but they do cover a bit more distance than the underground trains. You’ll pay €1 for a single trip and €4 for an all-day pass, so it's just as cheap as the Metro. The city’s tourist buses are worth considering if you are travelling with children, as lots of walking between sights in the blazing sunshine is often viewed in a dim light! Children will love going on a foreign bus route - particularly if you go on the open-air 110 or the Archeobus - it could well be the best decision of the day! The new electric buses have also been a hit in the historic centre, since they help to keep down the pollution. The Rome traffic is infamous; roads are frantically busy, so make sure you have good insurance, and keep your cool while driving in the city. Renting a scooter or a car for your stay will enable you to travel off the beaten track, but be aware that parking is quite a challenge - because there are now too many vehicles for too few parking spaces! As one of Europe’s most beautiful cities, walking is the best way to get around Rome. Be smart and plan ahead by booking your accommodation close to the main landmarks, reducing the need for much transport. An apartment from Oh-Rome could then be an option as they have apartments in all parts of the city, right by the major attractions. However you choose to get around the famous city, you’ll be sure to have a great time. Plan a few places to visit, and see if you can use the local transport - it's a lot more fun than taking a taxi!